If you visit StearnsAndFoster.com, you accept these conditions. Please read them carefully. Any text used directly from the Stearns & Foster Web site may not be altered in any way. All product-specific, corporate and industry information has been written to meet required legal guidelines, and modification may compromise these guidelines. Graphics featured on the Stearns & Foster Web site may not be downloaded without permission from a senior member of the Stearns & Foster Marketing Department. Some graphic items featured on the Stearns & Foster Web site have limited usage rights. Unauthorized usage may subject a retailer to fines or additional talent costs required by talent agents. Stearns & Foster is the owner or authorized licensee of numerous trademarks which have been used throughout this website. 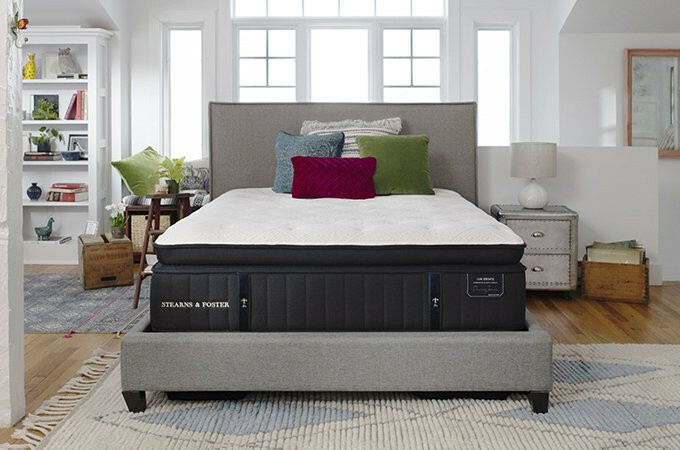 The trademarks or service marks contained in this Web site are the property of Tempur Sealy International, Inc. or where noted, third parties (such as in the case of Tempur-Pedic®, which is also owned by Tempur Sealy International, Inc). You may not use any of these trademarks or service marks in any way, for example, you may not use any such marks as links to this Web site from other Web sites, or as machine-readable search terms ("metatags"). Stearns & Foster reserves the right to change or discontinue at any time, without notice, any materials, statements, specifications, models, products, or services described on this Web site, or the availability thereof. Products, methods, and processes described on this Web site may be covered by U.S. or foreign patents and/or other intellectual property rights. Tempur Sealy International, Inc., makes no representations about Web sites accessed through this site which are not maintained, controlled or created by Tempur Sealy International, Inc. Tempur Sealy International, Inc., does not endorse these sites and is not responsible for their content. The retailer must be an authorized Stearns & Foster retailer in good standing. 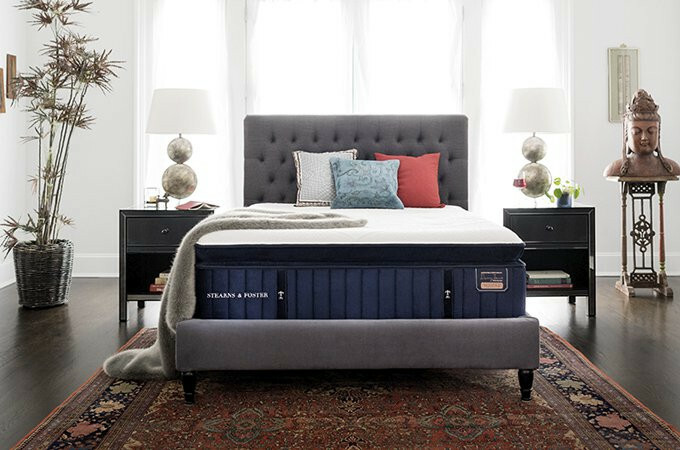 No unsubstantiated claims may be made about the relationship between Tempur Sealy and the retailer. The proper use of all Tempur Sealy graphics and text must be maintained with the retailer's Web site. The retailer name must be featured on the retailer's Web site. The use of Tempur Sealy graphics or text must be subordinate to the use of the retailer's name. 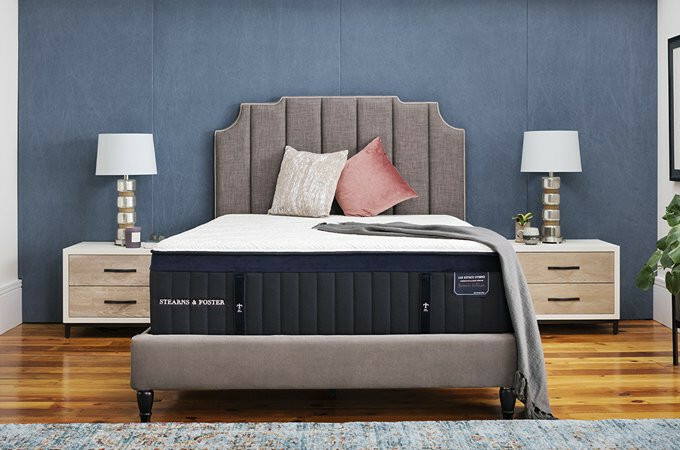 If Tempur Sealy's name is used in the Web site address, the retailer name must be the visual focal point seen upon landing to the Web site. The retailer's Web site must contain appropriate content in Tempur Sealy's sole discretion. Retailers will not show models on their Web site that they don't regularly have as floor samples. While retailers are free to advertise and set retail prices, retailers acknowledge that they have read and understand the Brand Image Pricing Guidelines issued by Tempur Sealy. Information on this site is provided "as is" without warranty of any kind. Information on this Web site may contain typographical errors, technical inaccuracies or other errors and may be changed at any time without notice. 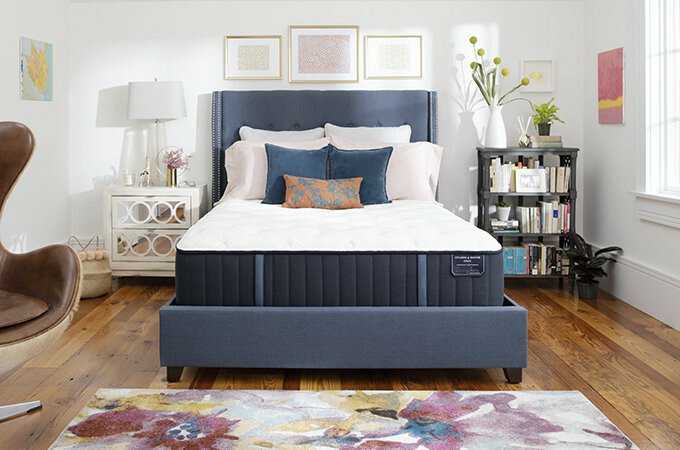 Tempur Sealy International, Inc., has a policy of continuous improvement of products and reserves the right to make improvements or changes to products without notice.